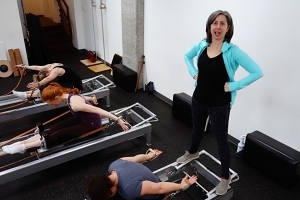 Ray joined the staff at Atlas Pilates in June 2015, but he’s been teaching Pilates in Seattle since 2003. 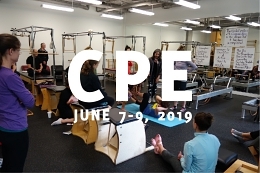 Trained and tested by Lori Coleman-Brown and Sari Santo-Mejia, he’s been fortunate to have studied with many Pilates luminaries such as Jay Grimes, Anthony Rabara and Lauren Stephen, and Dorothee VanDewalle. Laughter is the best core exercise. Ray was a founding member of The Festival of Men in Dance, a non-profit organization he led for its first sixteen years. He’s still involved, and occasionally helps to choreograph a new piece. His credentials include a BA with double majors in Psychology and Performing Arts from Antioch. Since 1995, Ray has been working on research studies at The University of Washington. He finds joy in helping to develop beneficial exercise programs for people living with AIDS, Dementia and Parkinson’s disease. He’s also a certified Spiritual Counselor and brings a conscious approach to teaching Pilates with a focus on developing body, mind and spirit in balance.